In this series, teachers working with students in the Connected Learning 1:1 program share how they use the tools to impact student learning. 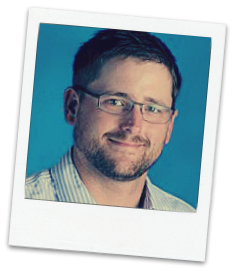 Denman uses a web-based service called Socrative to collect student reflections before discussions, and use them to inform class discussions and his lesson plans. By submitting responses online instead of in a math journal, he gets an instant pulse on all of his students – not just the ones who raise their hands or participate in class discussions. Using this data he can better differentiate and meet the needs of students. Denman also reports that “Students love to see each other’s answers!” so he will display the collected reflections from the class anonymously on his projector. Then he can the class electronically vote on the best answer, or discuss the answers. He adds, “this offers great intrinsic motivation for students to make their best effort answering the question.” Some folks may worry that laptops discourage student interaction, but in Denman’s classes the Chromebooks are used to provide voice to all students and enrich the dialogue. Welcome Back to Piedmont Unified! Copyright © 2014 Ed Services. All Rights Reserved. Magazine Premium created by c.bavota.